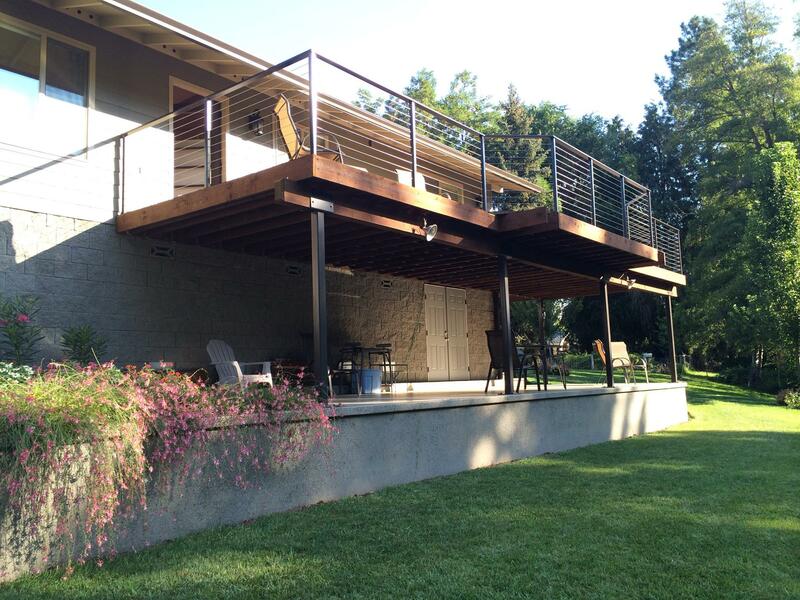 Steel Cable Railing for Balconies, Stairs & Decks. 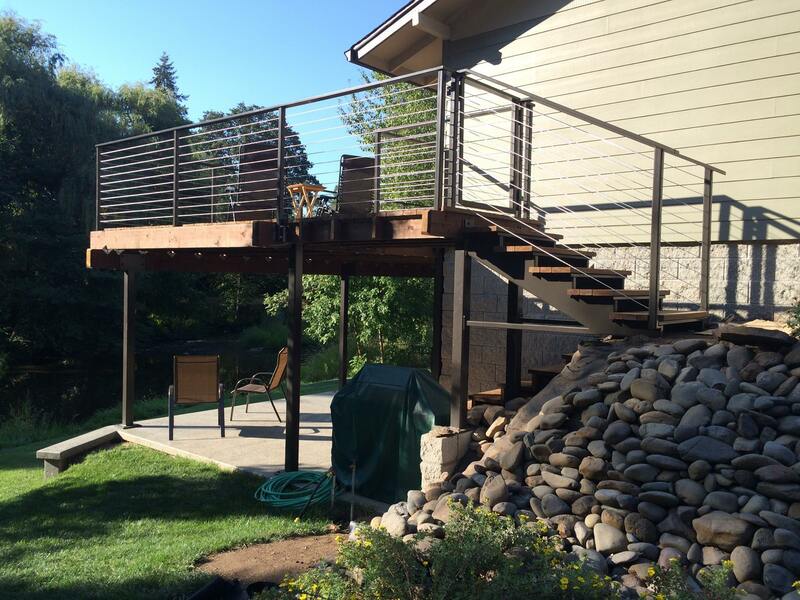 Quality stainless steel cable railing brought to you by Pro Weld! This attractive and sleek design allows the homeowner to safely enjoy the beautiful Southern Oregon scenic view. 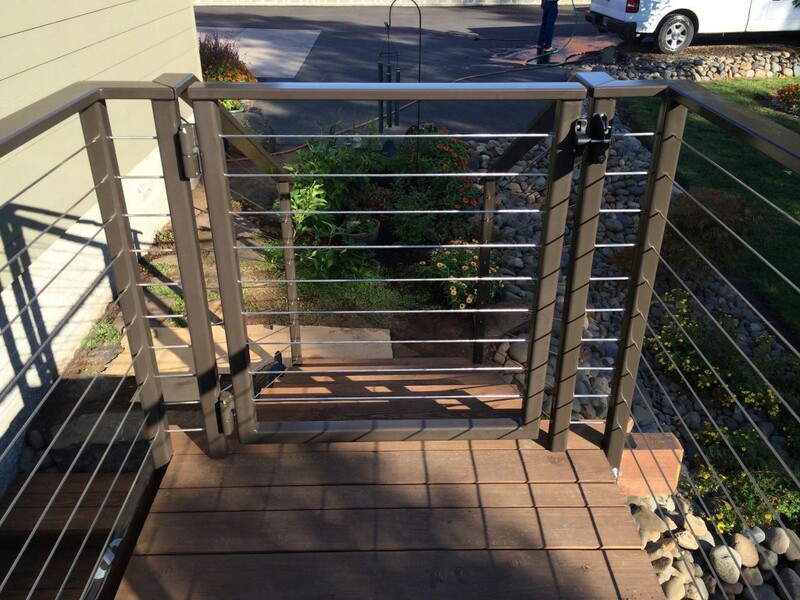 Pro Weld manufactures and installs stainless steel cable railing systems for commercial, residential and all ADA handicap zones and applications. 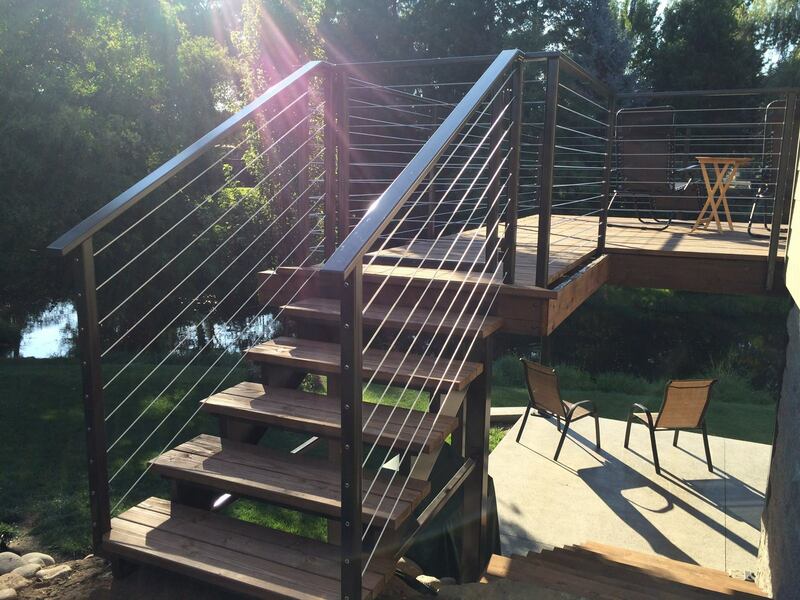 Pro Weld’s handrails are custom designed and made as well as installed by our fabrication professionals. 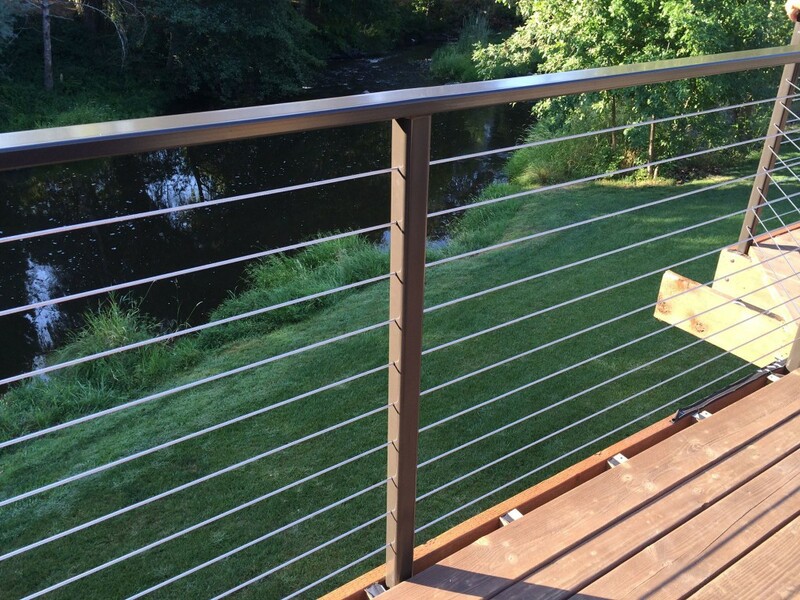 Cable handrails are ideal for both outdoors and indoors as it provides a clear sight of view with little to no upkeep. 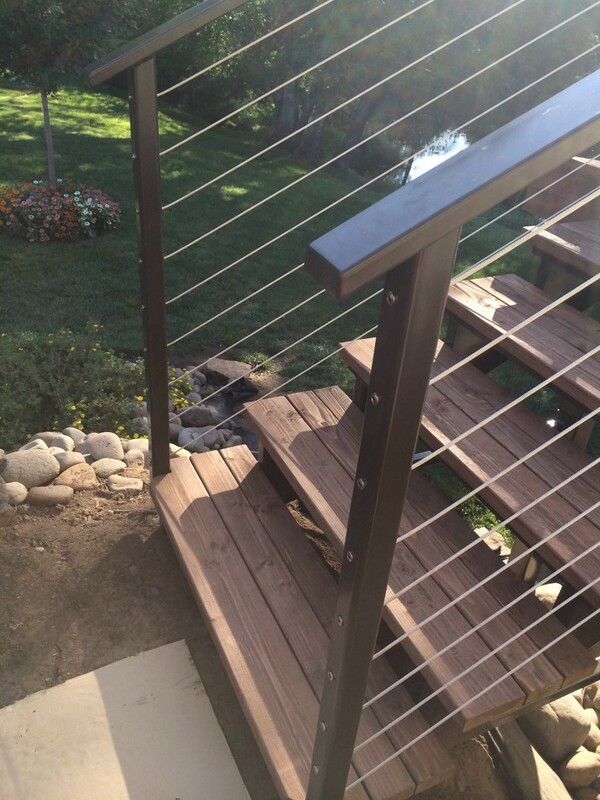 Our cable rails come in all sizes and offer a superior method of safety for railings with minimal sight of view obstruction. 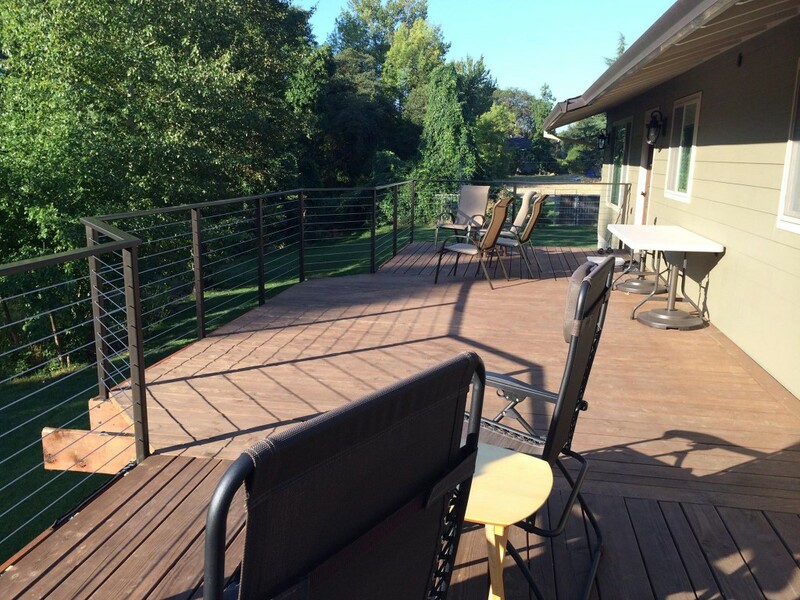 There has been a growing trend for home and business projects to use such cable railing as it has a modern design, maximizing riverfront properties, panoramic views and all types of commercial properties looks.